Sometimes we may receive the error "could not create directory <DOMAIN_HOME>/osb/config/sessions/weblogic" in the OSB console while trying to create the session. To resolve the issue add extra space to the mount point or clear some of the unwanted files and make the required space. 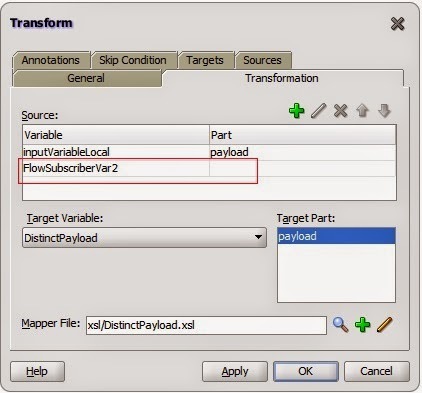 We are getting the below exception in runtime while passing the parameter and accessing the same from XSLT in Oracle SOA Suite. An error occurs while processing the XPath expression; the expression is ora:doXSLTransformForDoc('xsl/DistinctPayload.xsl', $inputVariableLocal.payload, 'FlowSubscriberVar2', $FlowSubscriberVar2). The XPath expression failed to execute; the reason was: javax.xml.transform.TransformerException: oramds:/deployed-composites/default/PPDSOM_EventManager_rev1.0/xsl/DistinctPayload.xsl<Line 8, Column 82>: XML-22036: (Error) Cannot convert result tree fragment to NodeSet.. 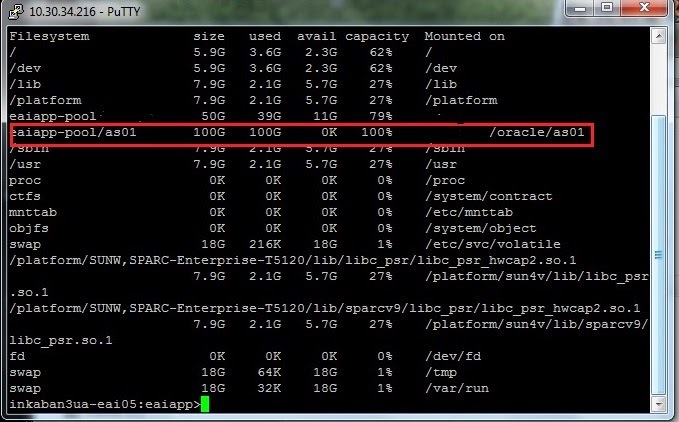 This error will occur most of time compiling the Oracle BPEL component in Oracle SOA Suite with java embedded activity, If there is any issue with the java code this exception will be thrown. We were facing the SCAC-50012 exception with the following code. The actual issue with the XPATH expression specified within the single quote(copy paste issue), the compilation became successful after converting the single quotes to double quotes. The below document explain the approach to store change the endpoints of the service dynamically in Oracle SOA Suite.